Looking for movie tickets? 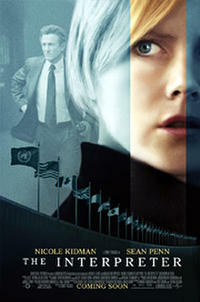 Enter your location to see which movie theaters are playing The Interpreter (2005) near you. A United Nations interpreter overhears plans of an assassination. This intense thriller is best for older teens.